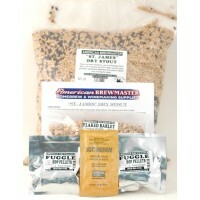 The American Classic Line of Beer Kit Recipes are our own, in-house recipe kits. 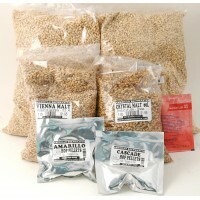 They offer only the finest and freshest ingredients available so you can brew delicious beer with each kit. 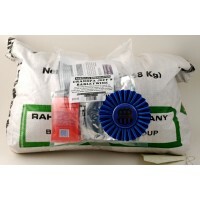 American Classic Ingredient Kits are made with input from our customers and employees. 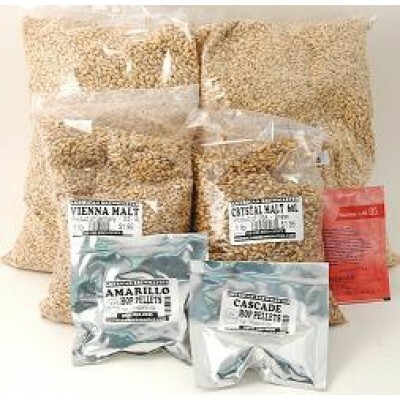 With input from our expert staff consisting of a Gold Medal Winner in the National Homebrewing Competion, a BJCP Certified Beer Judge, and brewers with over 20 years experience, you can be assured that you will brew the best beer with your American Classic Homebrew Beer Kit. We enjoy our line of beers, and think you will, too. American Classic Ingredient Kits contain Ingredients, Muslin bag, Priming Sugar, Bottle caps and easy to follow, step-by-step instructions. "Lupulin overload" American IPA Instructions American Brewmaster all grain kits make some basi..
Blonde Ale Instructions American Brewmaster all grain kits make some basic assumptions. 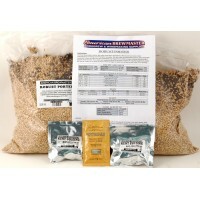 We ..
"St. james" Dry Stout Instructions American Brewmaster all grain kits make some basic assump..
Our 2010 PBC Best of Show Winner is a big, rich, malty, and hoppy monster of a Barleywine. 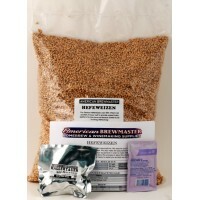 This beer..
Hefeweizen Instructions American Brewmaster all grain kits make some basic assumptions. 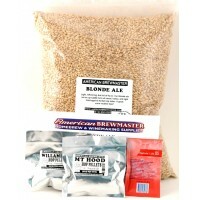 We a..
NOTES FROM THE BREWER With such a simple recipe the mash and fermentation were key to making thi..
Northern brown Ale Instructions American Brewmaster all grain kits make some basic assumptio.. 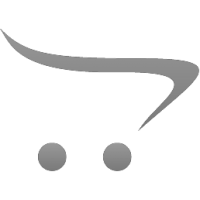 Recipe Specifics Batch Size: 5 gal. .. 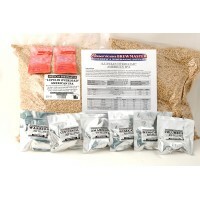 This all grain Belgian Blond beer kit uses Noble Hops for a floral, slightly spicy hop character to ..